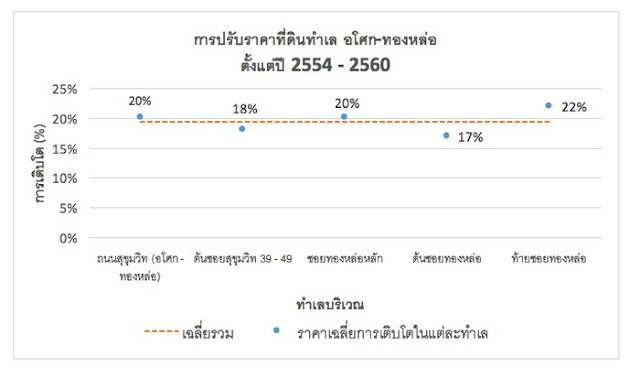 Nexus Property Marketing reveals that land prices in Thonglor to Asoke area have risen during the past 7 years. Most of the land plots transacted in this location were developed as residential projects including condominium and rental residence like serviced apartment or hotel as this location is one of the most stylish lifestyle locations for people in Bangkok. This factor boosts residential prices to soar in the same direction. 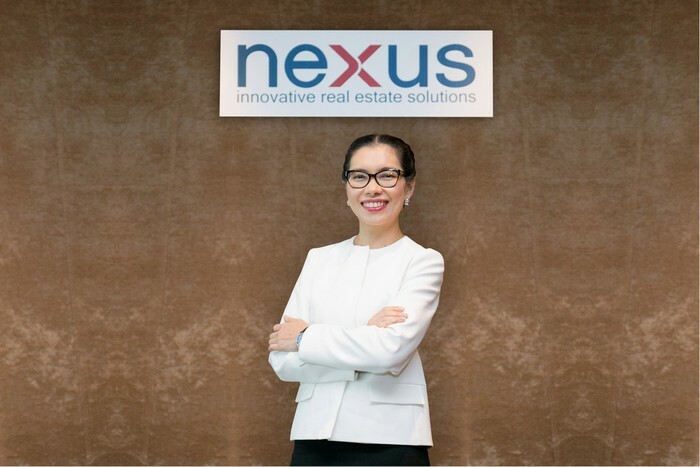 Mrs. Nalinrat Chareonsuphong, Managing Director, Nexus Property Marketing Co., Ltd., says about overall and trend of land prices in Asok to Thonglor area that land in Asoke to Thonglor area has risen consecutively with a growth of 19% per year during the past 7 years or from approximately 350,000 Baht per square wah to 1.01 Million Baht per square wah. 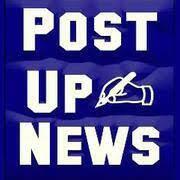 In the next two years it will be in an upward trend with an increase of at least 10% peryear. 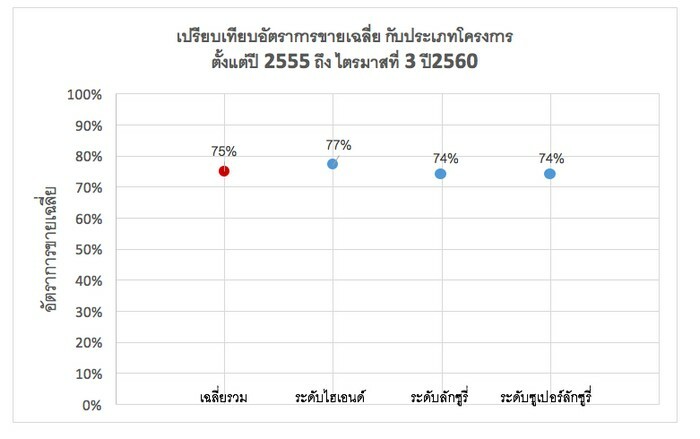 During 2012 to the third quarter of 2017, property developers remain confident in condominium growth in Asoke to Ekamai consecutively with a number of new supply totaling 14,332 units from 48 projects. 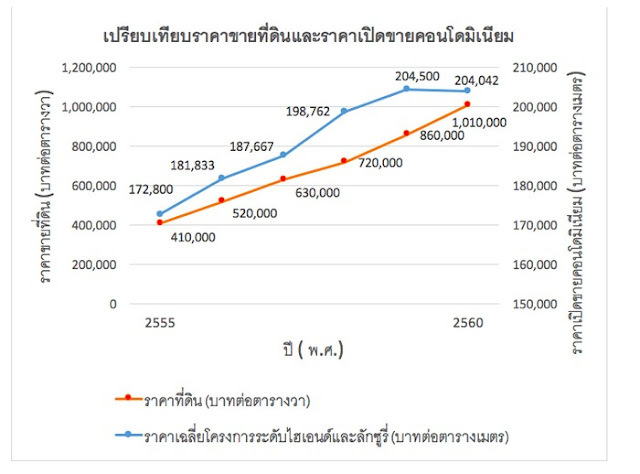 Growth rate of condominium in the past 6 years was approximately 67% per year. For only in the first quarter to the third quarter of 2017, a number of new supply accounted for 29% of the total supply or 4,281 units from 17 projects, representing property developer’s confident in this location. Categorized by segment, the largest number of condominium supply in Asoke to Ekamai was in high-end segment with 7,919 units accounting for 55% of the total 14,332 units. It was followed by luxury segment with 4,089 units and super-luxury segment with 2,324 units. In luxury segment where there had been 48 projects launched during 2012 to the third quarter of 2017, a number of unit developed by large developers totaled 9,332 which accounted for 65% and that by small developers totaled 5,000 units accounting for 35%. This represents large developers remain confident in product development in luxury segment in this location consecutively. 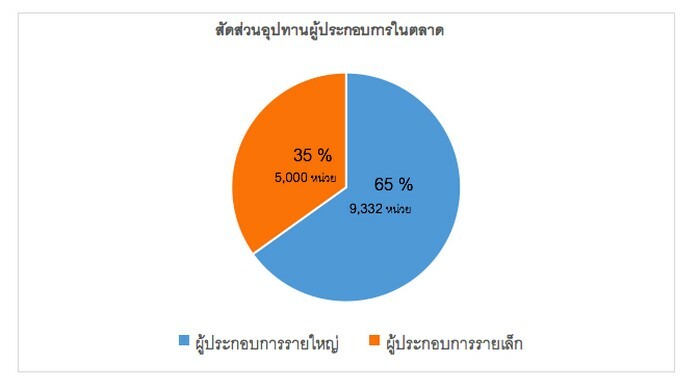 In a near future, there will be 8 new projects scheduled to launch in Asoke to Ekamai area. 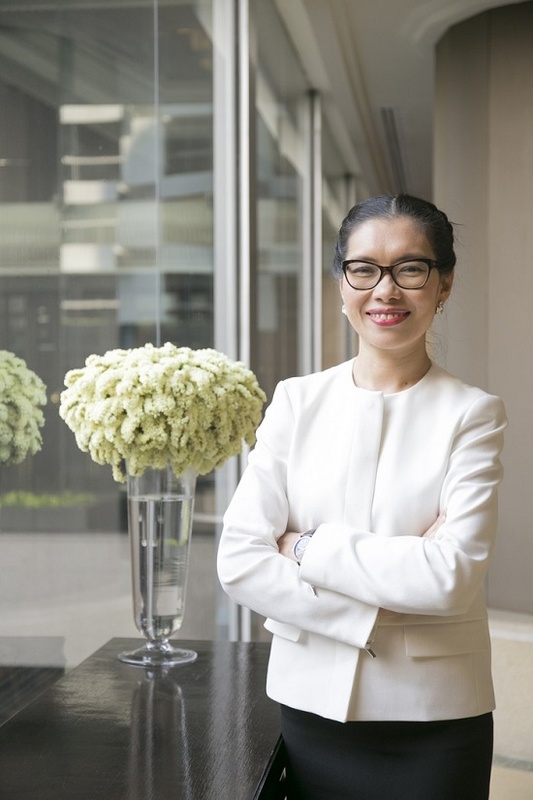 Most of them will be located in Ekamai and Thonglor area, being developed by large developers including Noble Development, Sansiri, Singha Estate, MQDC and Ananda Development. 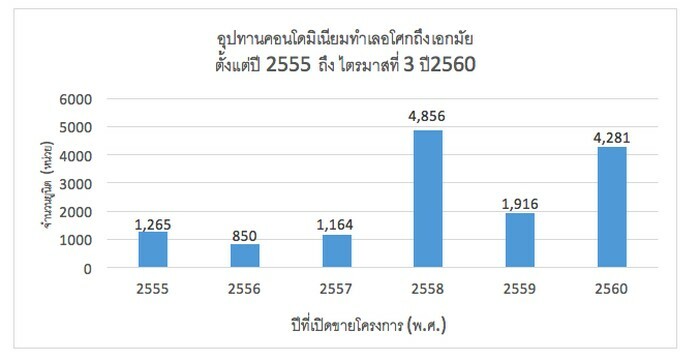 During 2012 to the third quarter of 2017, sales of condominium supply in Asoke to Ekamai area totaled 11,218 units which accounted for 75% of the total supply. 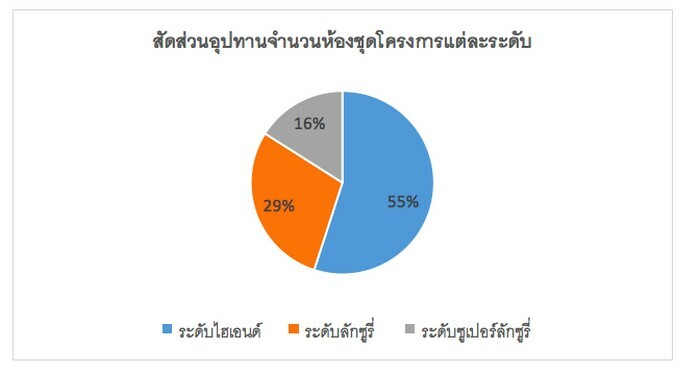 Sales rate in high-end segment was 77%, that in luxury segment was 74% and in super-luxury segment it was 74%, depending on supply in each segment. 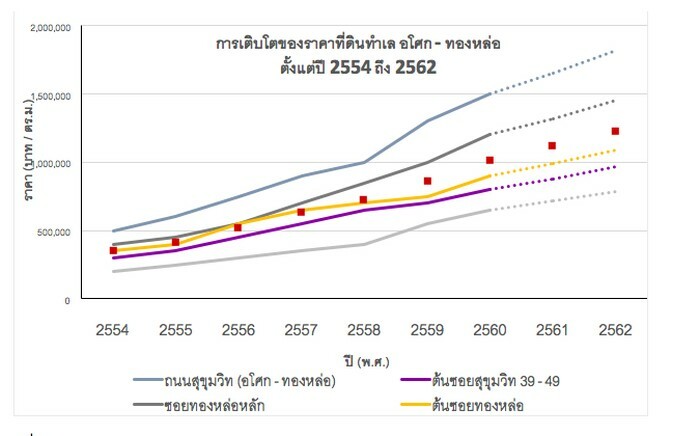 Luxury condominium price has risen consecutively since 2012 to the third quarter of 2017 from approximately 158,800 Baht per square meter to 222,944 Baht per square meter. Growth rate in the past 6 years was 9% per annum on average. 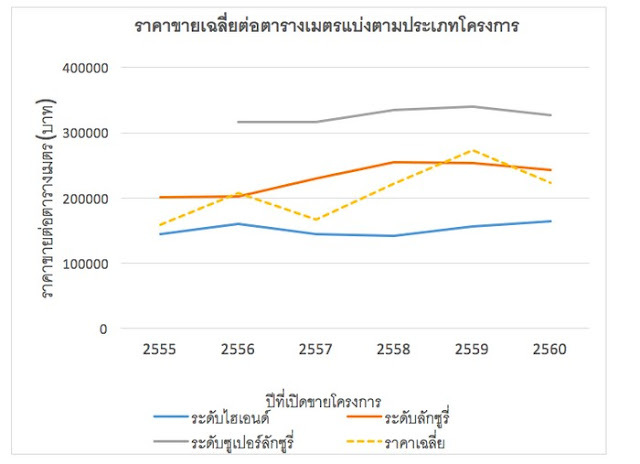 An overall increase in average prices is in a positive trend, except only for a period during 2013 to 2014 when developers were more interested in high-end segment. As a result, prices rose slightly. “Asoke to Ekamai area is a potential location for luxury property development by large developers. However, a limitation in land plot and funding has become a factor driving developers to develop a project with niche, different features like high-rise high-end project, low-rise luxury project or a joint venture with foreign partner for financial and technology purpose. In pricing, when compared land price and selling price per square meter in projects in luxury segment, higher increases in land price were resulted from a limitation in land plot. 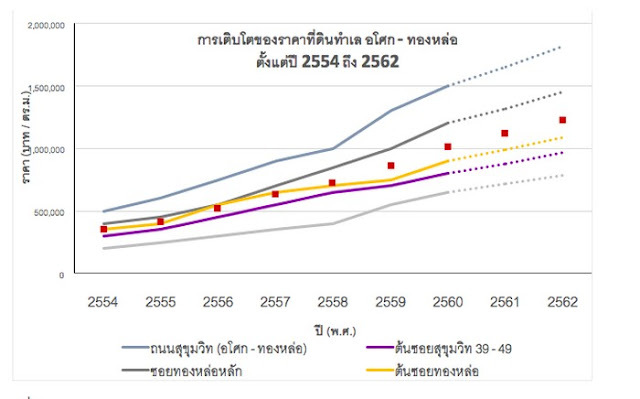 Meanwhile, condominium selling price per square meter has risen consecutively in line with land prices. However, in 2016-17 launch prices were stable as developers shifted to focus on low-rise high-end project development. 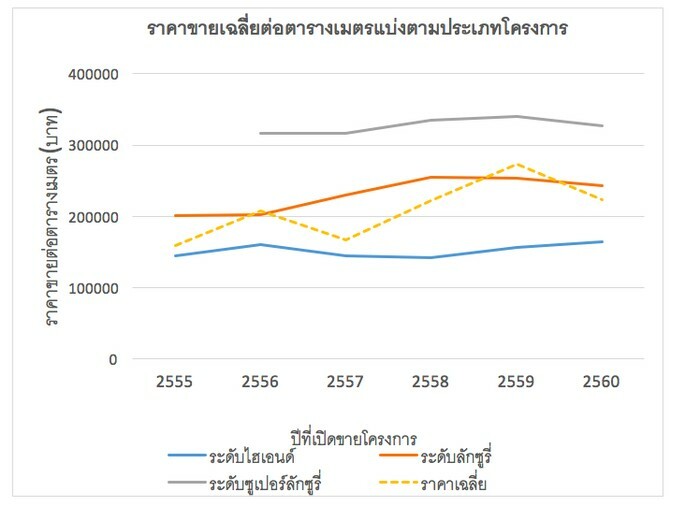 As seen in the market, condominium prices rose 9% per year on average while land prices increased up to 19% per annum. For product quality, as competition in luxury market segment is very high with an increasing number of new projects launched consecutively, product quality is better with different features depending on each project which benefits buyers,” Mrs. Nalinrat says.